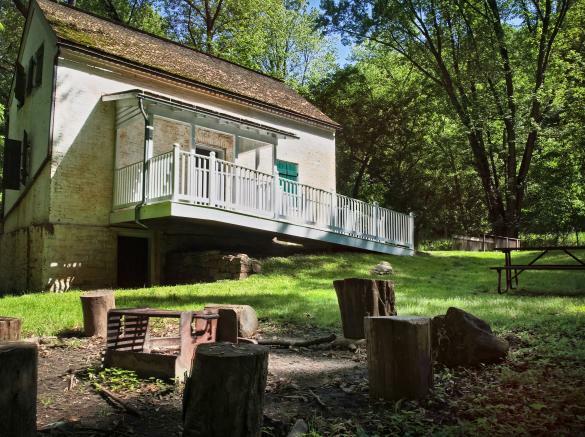 Lockhouse 28 at Point of Rocks is a rustic retreat, completed in 1837. It is situated between the scenic Potomac River and the still-active railroad tracks on the MARC-Brunswick line. It stands as a reminder of the fierce competition in the 1800s between the Chesapeake & Ohio Canal and the Baltimore & Ohio Railroad in the race to reach the Ohio River Valley. 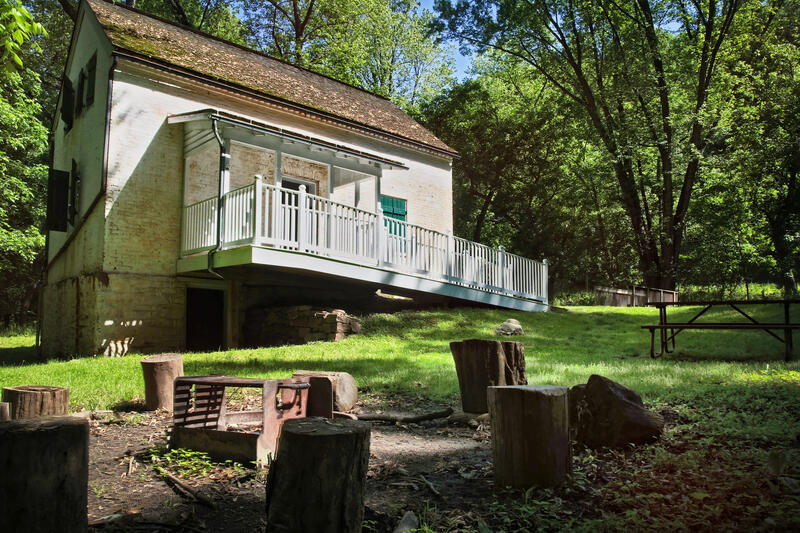 Today, Lockhouse 28 is part of the C&O Canal Trust's Canal Quarters program which provides overnight stays in rehabilitated lockhouses featuring historic furnishings, decor, and interpretive materials that tell stories from various periods in the C&O Canal's history. 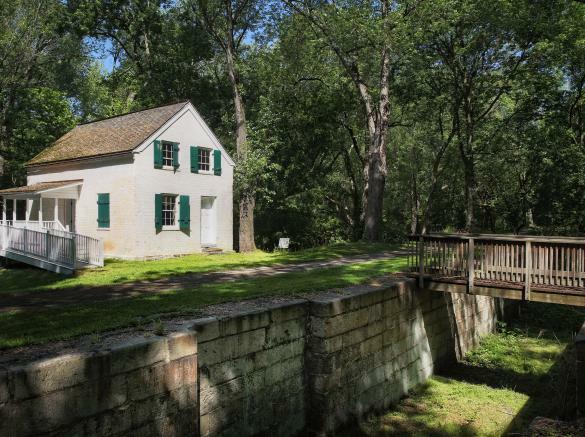 Lockhouse 28 is exemplar of the basic types of structures (aqueducts, locks, lockhouses) built along the C&O Canal and sleeps 7 people. The furnishings in Lockhouse 28 are evocative of the 1830s. This charming rustic property does not have heat or electricity. There is an outdoor portable toilet provided. It features an outdoor fire ring and adjacent picnic table. Water is available from Apr 15 - Nov 15, at Bald Eagle Island Hiker-Biker Campsite at towpath mile 50.3 (aprox. 1.3 miles away). The lockhouse is located nearly 1/2 mile away from the nearest parking area at Point of Rocks at towpath mile 50.8. There are five other lockhouses available for overnight stays in the Canal Quarters program. 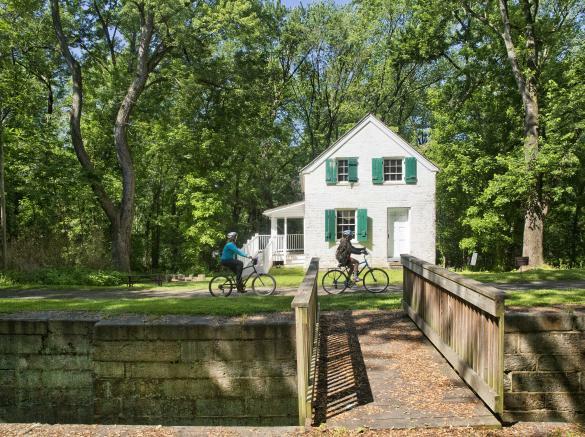 All are located on the towpath in the Chesapeake & Ohio Canal National Historical Park. All revenue collected from program fees remains within the program and is used for daily operations, preservation work, and public programming. Learn more about Canal Quarters at www.canaltrust.org.